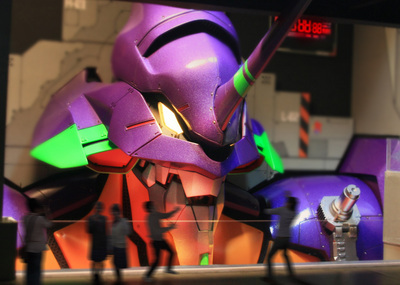 "The pavilion will also have a life-size cockpit of an Evangelion unit (from where visitors can pay to have their photos taken), a life-size figure of the character Kaworu Nagisa, a video corner, a museum, a studio gallery for taking photographs, and a shop. Fuji-Q HighLand's website will present the first interim report of the pavilion's 150-million-yen (about US$1.6 million) construction on May 26." Yet another reason for me to abandon the corniness of Long Island and go visit Japan.